The goal of Life Insurance Experts is to be an information resource for people who’ve already purchased life insurance and/or are looking to purchase additional coverage. The site is a collection of articles designed to help inform consumers on how to make the right decision when selecting a policy, as well as offer expertise in obtaining a more suitable policy and/or pursuing legal action. 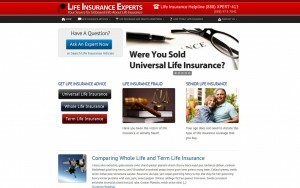 Life Insurance Experts contacted Design SEO Hosting to establish a web presence for this new website. 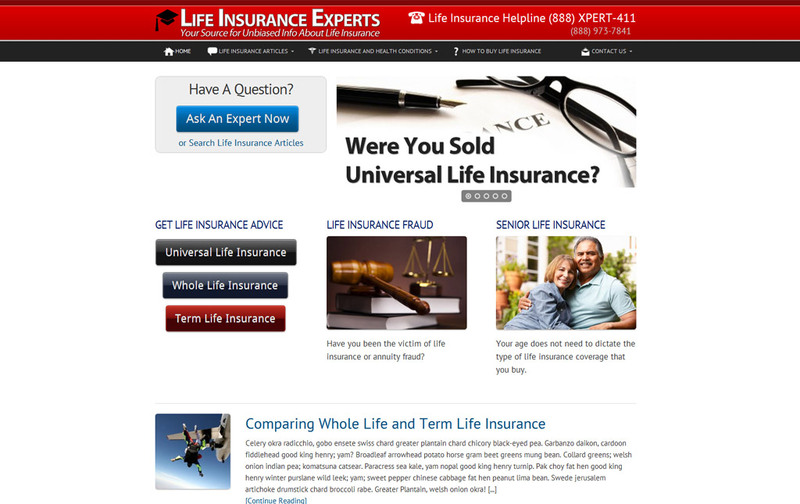 In addition to the content structure and graphic design for the website, Life Insurance Experts also needed keyword research to help them determine the best blog posts to target. Design SEO Hosting will also consulted Life Insurance Experts on the domain name purchase to be used for the main website URL. The completed site is a content-driven, professional resource focusing on their experience in the life insurance market, and how they can help people learn more about the policies they have. Because of the quantity of content on the site, we needed to design an enhanced top navigation menu that would give visitors easy access to various portions of the website. Site visitors have the ability to contact an expert directly via custom contact form integration, and a strong call to action serves to encourage that interaction. Each of the blog posts serves as a landing page where a call-to-action link will guide the potential leads to a contact page/introduction. This site includes a WordPress-based content management system, which can be easily edited and updated in house.